एंन्जल्स Do आप believe that we all have a gaurdian एंजल watching over us all the time ? my cousin and her boyfriend had a horrible accident.her boyfriend was drunk and drove off the road.they feld down a 6 feet hill,they survived without a scracth.how do you explain that huh?. I do believe in forces that we cannot explian protecting us when we need protection. I think I've also seen mine in a dream. Yes i have had dreams like that too Vixie ! Some humans don't believe anymore, so they won't recieve their angel. (wow that sounded quite object'y) Angels wish for the best of the human, so as the human starts drinking for example, the angels try to get the human out of it, the human reuses to recieve help and the angel will disappear. 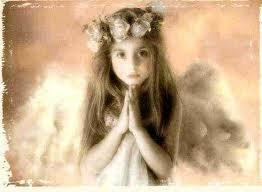 Have you ever sensed an angels presence around you ? Blue Angel Or Pink Angel ? Angels in art.....Which is your favourite ? What do angels symbolise to you ?